The above quote by Eric Arthur Blair, who is arguably one of the world’s most influential writers, better known by his pen name as George Orwell, is apt in looking at the ongoing struggle for the Senate President of the Ninth Senate within the ruling All Progressives Congress (APC), with Senator Ali Ndume, former Senate Leader, seen by some party leaders as a rebel for apparently holding on tenaciously to his belief that he too can be Senate President. The position was said to have been zoned to the Northeast, where Ndume hails from. But rather than allow a process that would be acceptable to all tendencies within the party to throw up a preferred candidate for the position, some of the party leaders were said to have surreptitiously endorsed the incumbent Senate Leader, Ahmed Lawan, ahead of Ndume and Senator Danjuma Goje on the grounds that Lawan is the choice of the party. 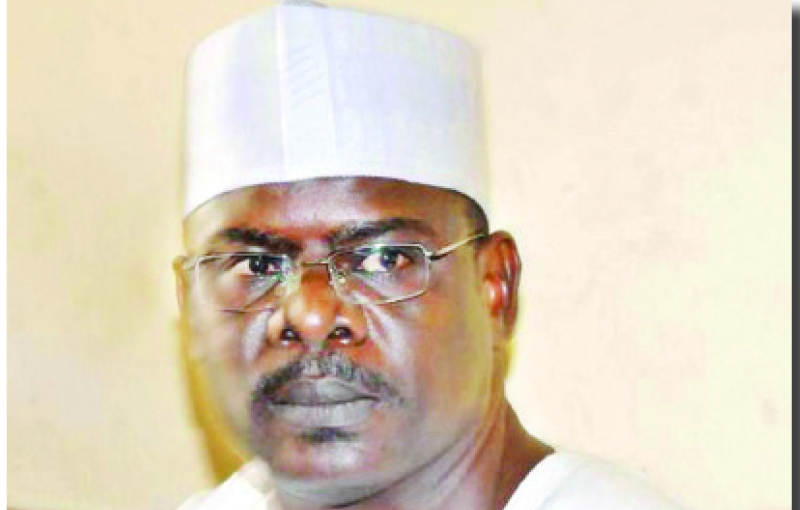 Interestingly, Lawan succeeded Ndume in the outgoing Eighth Senate as Senate Leader. He was the party’s choice, first, for Senate President in 2015, and later as Senate Leader after he lost to the incumbent, Dr Bukola Saraki. Again, he lost the Senate leadership to Ndume. But he succeeded Ndume following a palace coup that led to Ndume’s ouster after about two years. But while Goje has kept mute since the day Lawan was announced as the anointed candidate, Ndume has refused to budge. He has vowed to challenge Lawan on the floor of the Senate in June for the position. Addressing journalists in Abuja, he noted that the choice of Lawan was “unpopular, and unilaterally carried out by Oshiomhole,” claiming that both President Muhammadu Buhari and the National Leader of the party, Asiwaju Bola Tinubu, have given him (Ndume) their consent when he approached them for their blessings over his ambition to contest the Senate presidency. “All my colleagues at the occasion (in Villa) were shocked when Adams Oshiomhole unilaterally announced his decision to endorse Lawan as candidate of the party. It is an unpopular decision because I am sure that President Buhari and other leaders of the party are not in support of that action. None of the stakeholders was also consulted,” he said. Since then, he has carried on and he appears unwilling to back down. For those who have followed his political trajectory since 2003, when he first won his election to the House of Representatives, Ndume has proven to be a rebel, but with a cause. It is on record that he was one of the first politicians to revolt against the then acclaimed godfather of Borno politics, Senator Ali Modu Sheriff and survived it. He was in the House of Representatives at the time and was eyeing the Borno South Senatorial District seat. He was elected on the platform of the All Nigeria Peoples Party (ANPP). And as the Minority Leader in the House, who was very vocal at the time, he was said to be eyeing the position of the Senate Minority Leader, a position Sheriff was also interested in at the time. But after the 2011 election was won and lost, Ndume made it to the Senate on the platform of the PDP, while Sheriff as a sitting governor at the time, lost his bid to go to the Senate. In the build up to the 2015 polls, he was wooed to the APC by Governor Kashim Shettima, following Sheriff’s defection to the PDP. Again, when he was suspended by the Saraki-led Senate, he went to court to challenge his suspension. While the case was on, he was asked to apologise to make him return to the Senate, but he refused. He followed his case through until he won it. Will he win this latest battle? Ndume, 60, who hails from Gwoza, was born of a Christian mother, Magdalene and Muslim father Ndume on November 20, 1959. While he was with his mother, he remained a Christian until his first year in the secondary school when he joined his father. He had three sisters and one brother. They are: Diana, Martha, Naomi and Daniel. After completing his primary school at Gadamayo Primary School in Gwoza, he proceeded to Comprehensive Secondary School Mubi, now in Adamawa State. From there, he went on to study Marketing in Kaduna Polytechnic where he obtained his OND and HND in 1980 and 1982 respectively and thereafter went to the United States of America for his post-graduate to study Business and Computer Education, in University of Toledo, America. He returned in 1990 to Ramat Polytechnic, Maiduguri, where he was lecturing before travelling abroad. He spent 20 years, cumulatively as lecturer before venturing into politics in 2003. Instead of labeling Senator Ali Ndume as a Rebel for standn for his right as a Democrat.He should be praised for refusing to be inti-midated by the anti Democratic forces in APC.Who in their selish desperation to impose a stooge as the President of Senate.Have chosen to call a rebel for presentn himself for Candidate for Senate Presidency to test his popularity & acceptance by the members true transperently conducted election in the Senate btwn him & the Parties anointed Candidate !